According to the seller, that's what happened with this car. 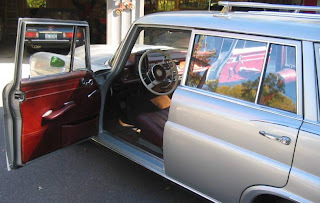 This car is a 1967 Mercedes Benz 230 US spec station wagon. There are only 2 of these cars known to exist. The car has "USA 2" listed at the beginning of the VIN number. The speedometer is calibrated in miles per hour, not kilometers, meaning this truly is a US spec car and not a car brought over from Europe. What's a car like this worth? Who knows. 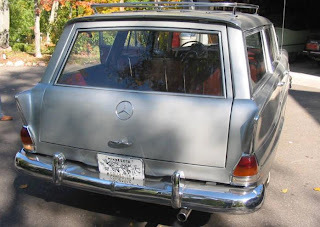 The Fintail Mercedes Benz cars don't sell for real big money, but this one is extremely rare. The seller says it "has been 'unprofessionally' appraised by more than one dealership at close to 100K". Really this car is worth whatever a buyer wants to pay for it. It's so unusual it's almost impossible to put a price on it. As I write this there is just one bid for $20,000.00 and it appears the reserve, if there was one, has been met.